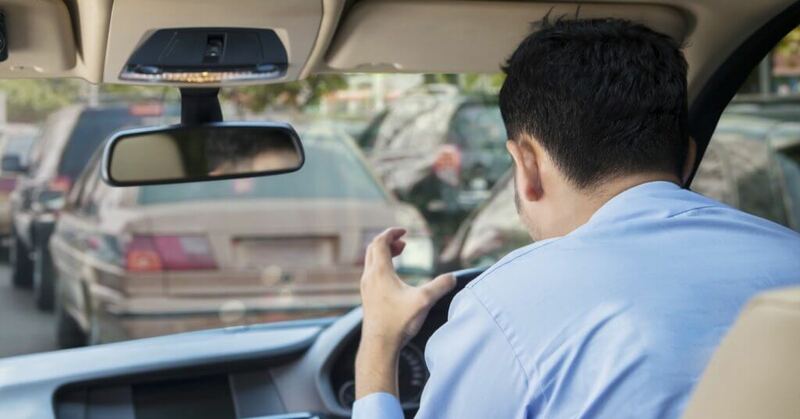 Home»Articles»Car Insurance»How To Keep Calm And Drive On Indian Roads? Driving a car on Indian roads is a challenging task. Driving it in heavy traffic, during the rainy season, and when you are in a bad mood is even more challenging. Apart from good driving skills, you also need to stay calm and focused without getting irritated by the constant honking. Read ahead to know how to keep your cool without turning into the Hulk and destroying everything in your path! Being patient is an important virtue if you want to drive on Indian roads. These roads are filled with potholes, encroached upon by hawkers, claimed by the ongoing Metro construction, and fought upon by fellow drivers, cabs, auto rickshaws, buses, trucks, cyclists, street vendors, etc. You will have to tap into your innermost chamber of tranquility and call out, ‘come on inner peace!’ And then maybe you will enter a Zen mode and drive without getting affected by all that is happening around your vehicle. Make sure your physical self is as comfortable in your car as your mental self. If your car’s interiors are not pleasing, it’s highly unlikely that you’ll be at ease. If your car’s air conditioning is not working, the left-side speaker has gone mute, the car stinks, or if your seat is giving you a backache, then your car isn’t a vessel of calm, it is a disaster waiting to happen. It’s highly probable that you’ll be using your brakes more often than your accelerator when stuck in traffic. Thus, your brakes need to be fully functional especially during the rainy season. Get them fixed if you feel they are getting a bit lazy with their response time. Wear the seat belt. Make sure your car is well oiled and tuned. This way, it will obey your commands and not misbehave in tricky situations. Remember your car is a car, not a boat, nor an airplane. It doesn’t float on water or fly in the air. It can’t squeeze itself to follow the biker zooming ahead from the left. It is a car, it needs space, and so does the one beside you, behind you, as well as in front of you. Also, do not try to conquer nature by driving fast when it is pouring outside. For your safety and as well as the safety of others, respect speed limits and traffic signals, allow the pedestrians to cross the road, do not honk unnecessarily, observe lane discipline, and use indicators. Insurance is important, necessary, and beneficial. Comprehensive Car Insurance is something that will help you when you need it the most. It will come in handy if you crash your car, if someone crashes your car, if you crash your car into someone else’s car, if your car gets stolen, if it gets damaged due to flooding, if a tree falls on it, etc. Also, it is mandatory as per The Motor Vehicles Act, 1988 to insure your car before driving on Indian roads. Insuring your car is not a license to drive recklessly but a cushion in case of unfortunate events. Keep Calm and Keep Safe Distance! Do Autonomous Vehicles Mean The End Of Auto Insurance?